Abdulbaki Todashev says his son loved life in America and would never kill anyone. His son, Ibragim Todashev, was fatally shot in his Orlando apartment by an FBI agent while being questioned about his ties to Boston bombing suspect Tamerlan Tsarnaev. “I absolutely refuse to believe my son could have attacked a policeman, to be quite correct, several policemen,” he said Thursday in a telephone interview with The Los Angeles Times Chechnya. 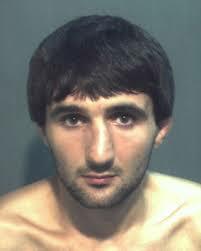 But federal authorities believe Ibragim Todashev may have been involved in a triple shooting with Tsaraev prior to the marathon bombing. Posted: 5/24/13 at 8:41 AM under FBI, News Story. The fbi engaged in cold blooded murder of Ibragim. See the message attributed to and owned by the fbi, written by me, that pertains to the whole wide world.